Extension board to add 100Mbps ethernet and two usb port hub to Raspberry PI Zero. 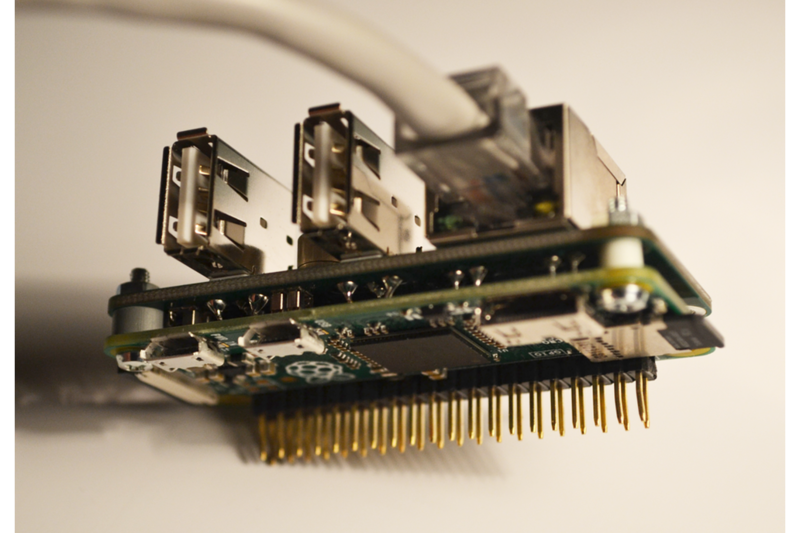 To connect to the PI pogo pins are used piggypacking on Raspberry PI Zero's test points from the bottom of the board. You get proper 100Mbps ethernet and two USB ports to connect the mouse and a keyboard or other peripherals. 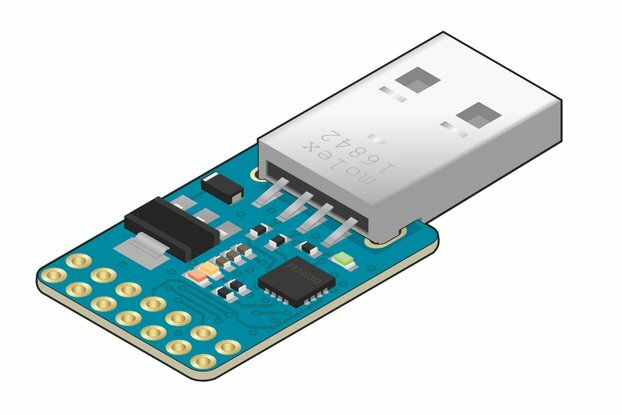 The original microusb port on Raspberry PI Zero cannot be used any more! So you need to use one of the other two USB ports or additional USB hub if you need more USB ports. Provided with four screws and four made-to-measure standoffs. Mechanical installation done in 2 minutes. No changes in software (installation) necessary - the board uses USB drivers which are the same ones which are used on Raspberry PI 2 with ethernet port. For experienced users - 5V rail is borken out so you can easily use external power source instead of using microusb power supply. This rail is not protected in any way so make sure you use stable 5V source and wire it the correct way around! GPIO header on the Zero stays free for use with any additional equipment. Designed, made and dispatched from Slovakia. Usually dispatched the same, or the next working day. Fully compatible with RPI Zero v1.3, however should also work with 1.2, but no guarantees - ask me if you want to use the board with Zero v1.2 and Ill give it a go. I purchased a couple of these boards to use for sensor stations that have access to a hardwired network connection. Attaching the board to the bottom of the Raspberry Pi Zero was a breeze. I booted the pi up using a fresh copy of Rasbian Jessie with the ethernet board attached to the network and no keyboard/mouse/monitor. After the reboot cycle that expands the filesystem, I was able ssh into the new board using ssh pi@raspberrypi.local. After that, I configured the rest of the system via command line. Worked great, no connectivity issues and the board combination has been up for several days with no issues. I am impressed considering all the connections to the Raspberry Pi Zero are done through contact pads on the bottom of the Pi ... no soldering and the entire GPIO header is available for adding sensors. Well done! BTW, I set the documentation rating to 5 stars, but you don't need any documentation to get this board up and running. I did not get any documentation with the boards and did not need any either. Ditto for the communication rating. I did not communicate with the seller and did not need to ... this board worked with no need for help. Great product - it just works! 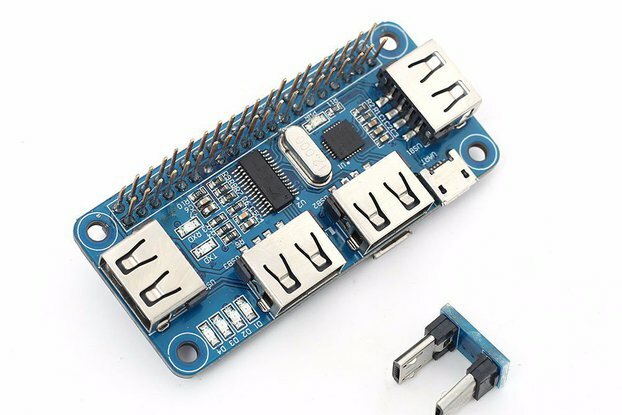 I ordered this to add an ethernet port to my Pi Zero, and liked the fact that it mounts under the zero, still allowing access to the I/O pins for other add-ons. It took only a minute to install, since it uses pressure pads to connect - no soldering required. And then it just worked - no configuration, simply plug and play. It saves having trailing wires etc with other plug-in ethernet adapters. All in all, very pleased. Just ordered my second one. I had to admit I first had my doubts especially the electrical connections between hub and the Pi Zero before I committed to buy the first one. After assembly it became clear to me it was more than adequate. 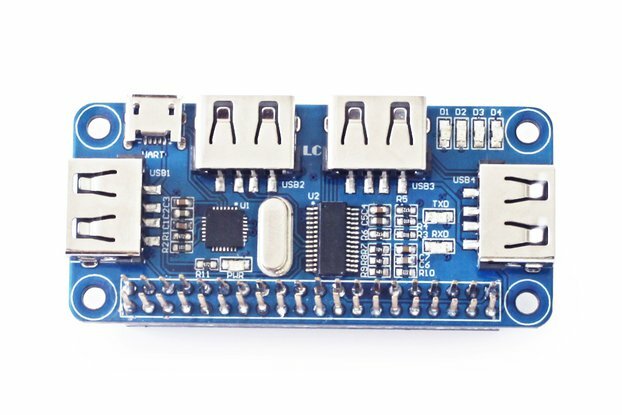 This is the "mini hat" board that the Pi Zero NEEDS. I was so pleased with the first one that I just ordered a second one. Goodbye dongles. Also on my stack I added an Edimax USB Wi-Fi and a HiFiBerry DAC. I powered this up with a 2.5A brick and everything works perfectly. Makes a great little music streaming device. Using this with piCorePlayer and an IQAudio piDAC Zero on a piZero to create a SqueezeBox player - works a treat! There's no documentation, which isn't really a problem but a description of supplying power using the shield rather than the microUSB would be useful. Yeah - there are two pins you can use to supply 5V power to the whole Zero, but this is an unprotected rail so Im not really mentioning this as a "function" of the board. I bought this to test with RISC OS, and after contacting Marcel for details about the ethernet chipset, decided to give it a go and ordered here. Arrived about a week after ordering, so that's all good. It just works, plain and simple! Fit it to the Pi Zero using the four machine screws, nuts and spacers included, add power to the Zero MicroUSB power port and it springs to life. 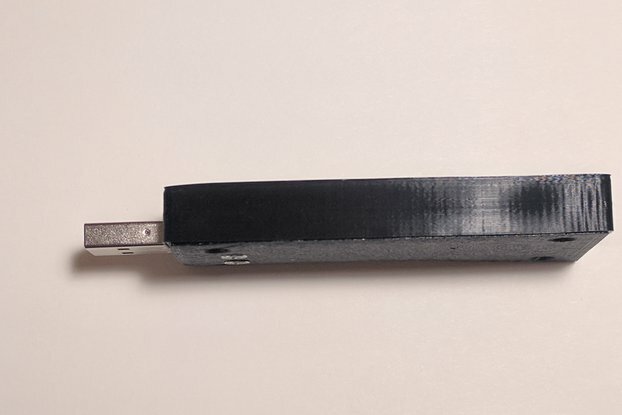 The pogo pins that connect the USB and power connectors are simple and effective. Brilliant way of adding full-sized USB and ethernet to the Pi Zero. Highly recommended and great under RISC OS! The simple part was from my perspective, easy to install and worked right off, no fussing around. Now I am off to find a case. I have to say this was my first experience with a pressure connection, so this might not work well in a tough environment, but it works great for my needs. Shipped within a day and arrived at my doorstep in less than 10 days, very well packaged. The design is well thought out. I mounted the shield with the provided screws and spacers, powered up the Pi, and Ethernet worked out of the box. No documentation, but not really needed either. The only change I'd make is to include 4 screws and 4 spacers instead of just two. With screws and spacers mounted on the USB side, the PCBs lack support when pushing an add-on board into the 40-pin expansion header of the Pi. Thanks for the review! I now include all four screws and spacers because of this review!